As the hobby of reloading grows, more folks are joining up who do not have a traditional reloading bench. 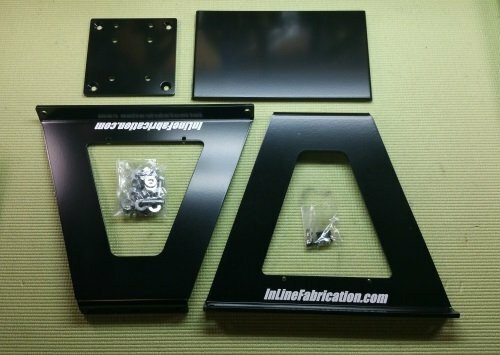 InLine Fabrication’s Ultramount is not only a riser for traditional bench setups but also can make it easier to reload from an apartment, out of the back of a truck or off of the kitchen table. It is easy to assemble with only two tools and about five minutes of spare time. The UltraMount we ordered from Amazon came well packaged and the parts arrived unscratched. There are not many pieces to the setup, but the 3/16″ steel plate is heavier than you might think. 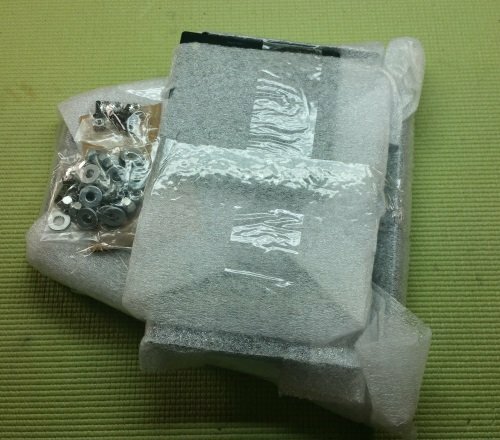 All of the needed fasteners are included and packaged separately, including the bolts for mounting the press. The assembly tools are not included, but consist of just a 5/32″ “hex head” Allen wrench and a 7/16″ socket wrench. Inline Fabrication makes a few different versions of the UltraMount. The specific one that we are putting together is the 9 5/8″ Ultramount made to fit the Forster Co-Ax press. This is the standard size. There are two other heights available, the 7.5″ Junior mount and the 4″ Micro. 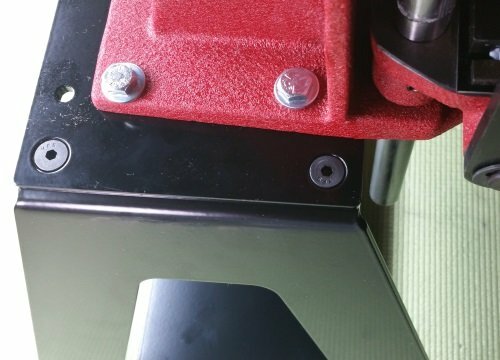 The mounts are also available with different top plates to fit Dillon, MEC, Pacific, Lyman, RCBS, Redding, Lee and Hornady presses. 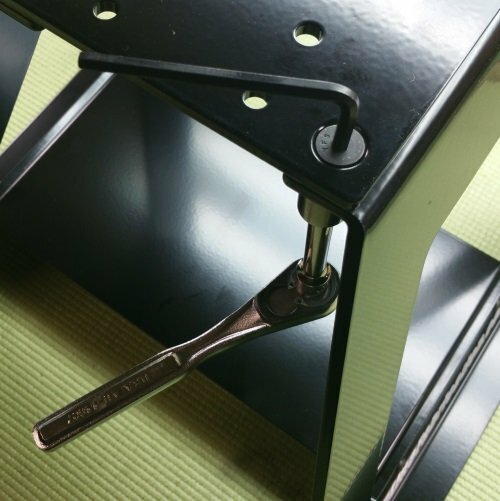 The first assembly step is to run two of the black, countersunk bolts through the aligned holes in the top plate to secure each one of the legs. 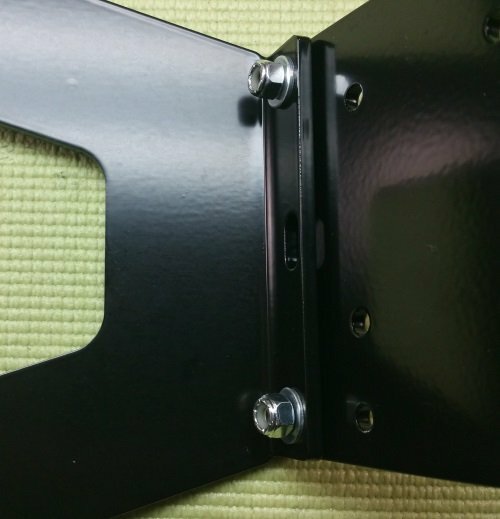 Each of the four bolts is held in place with a washer and nylock nut. Just twisting them on hand tight is enough at this point, as that little bit of slack makes it easier to install the bottom shelf. The four countersunk bolts sit just a hair below the height of the top plate, so they are not in the way. 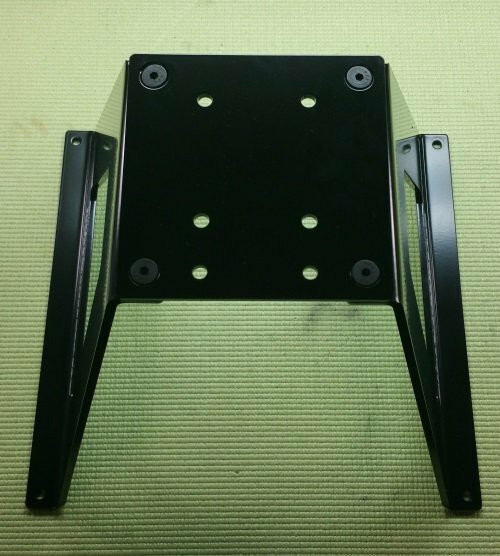 The extra holes in the top plate are for mounting the press and optional accessories later on. 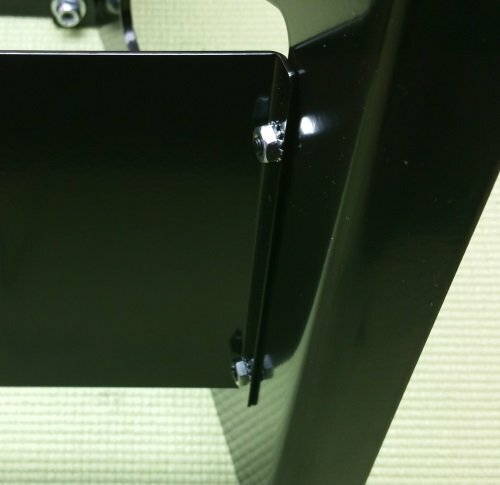 The bottom shelf is held in place by four button head socket cap screws with their matching nuts and lock washers. Go ahead and snug these up after putting all four into place. A dab of Loctite is optional. Now take a minute to tighten up the four countersunk bolts on the top plate. Using a socket wrench on the nuts while the Allen wrench holds the bolts makes short work of this. That is all there is to assembling the InLine Fabrication Ultramount. The shorter versions are similar but without the bottom shelf. Personally, I’ve found the shelf to be the perfect place to keep the plastic die box for the dies that are in use. Mounting the press to the Ultramount will vary a bit depending on the brand and model of the reloading press. But, for the Forster Co-Ax, it is just a matter of securing two bolts on each side. The holes in the mount lined up perfectly with the holes in the press. When mounted to the InLine Fabrication Ultramount, the Forster Co-Ax press is stable enough to do some reloading tasks just sitting on my workbench. There is plenty of clearance for the primer catcher and the height is perfect for standing. 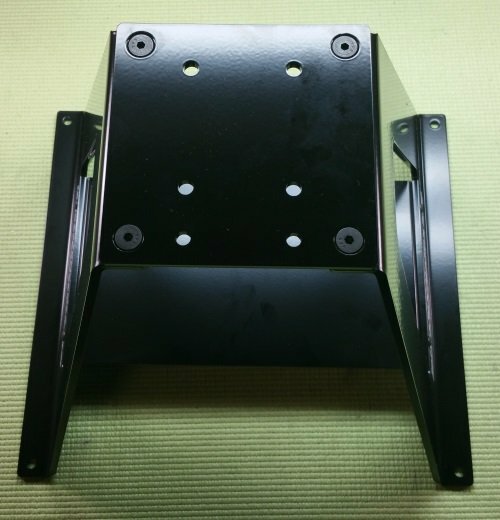 Mounting it to a piece of thick plywood for a larger base creates a portable and stable reloading workstation. If accuracy and flexibility are the main goals of your reloading work, then this is an ideal setup.